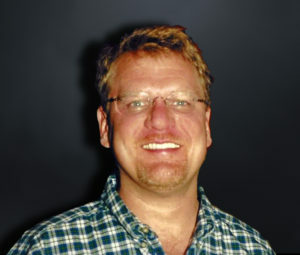 John Mark Patterson was the owner and founder of Marietta Vision and Orion Vision Group servicing the optical community for over 20 years with his innovative designs and extensive knowledge. It is in his memory that Orion Vision Group is dedicating this annual $2,500 scholarship, to encourage one visionary student of optometry or ophthalmology in the pursuit of their dreams. As an industry leader, Orion Vision Group merges science and art to achieve innovative designs and solutions. We create custom colored contact lenses for astigmatism, color vision deficiency, albinism, as well as therapeutic tints for athletes. Our soft prosthetic lenses provide new hope in redeﬁning discolored or misshaped pupils, amblyopia, and other ocular anomalies. The John Mark Patterson Memorial Scholarship is awarded annually. Applications will be accepted through June 30th of each year for the Fall Semester. All funds are to be disbursed to the registrar within 30 days of being announced as the winner. 2. You are required to have a minimum 3.0 GPA. 3. It is mandatory to include an unofficial copy of your transcript with application and an acceptance letter for undergraduates. Please answer each of the following questions, each answer should be no less than 800 words. What is it about the study of optometry/ophthalmology that you find most fascinating, and why? What do you feel are the three most important advances in the optometry field that will affect the future of patient care and why? What is the philanthropic organization that you are most passionate about and why? Fill out the online Application Form on this page. Upload your unofficial transcript in PDF format (one file only). Upload your essay in PDF format. The John Mark Patterson Memorial Scholarship is open to all students who are enrolled in a school of Optometry or Ophthalmology in the United States. The applicant must be a student at an accredited school, or be accepted to begin school at an accredited school within 6 months of application. All funds will be dispersed to registrar within 30 days of being announced as the winner. The scholarship winner is determined solely by our selection committee. All decisions of the selection committee are final. Orion Vision Group is not responsible for technical issues which prevent applications from being submitted or considered. PRIVACY STATEMENT: Orion Vision Group will not sell, share, or distribute the personal information you submit with your scholarship application to any third parties. The information you submit will be used only for determining the scholarship recipient and deleted after the selection period. NON-DISCRIMINATION STATEMENT: The winner of the The John Mark Patterson Memorial Scholarship will be determined by a selection committee set up by Orion Vision Group. Said selection will in no way be influenced by gender, gender identity, race, national origin, sexual orientation or any criteria other than the meeting of the application requirements and our committee’s evaluation of the essay attached with the application. MEDIA RELEASE: For any submissions, you hereby grant to Orion Vision Group a worldwide, non-exclusive license to use essay, photo and any content generated around awardee material in any media and, specifically, to link to the materials and to make that material available via our website, social media and printed collateral. You warrant that all such materials are original and do not infringe the rights of any third party and that you have the right to grant such license. You also warrant that the material is not obscene, offensive or defamatory to any person, organization or otherwise illegal. If plagiarism is determined, award will be revoked. Your name will be published alongside your material. If you do not want to grant these rights, please do not submit an application. If you submit any video, film, recorded music, text, photographs, graphics or other materials, you hereby warrant and represent that you personally created, wrote and produced such content and all materials contained within such content, or that you have written permission from or are authorized by the owner(s) of those materials for such use.